Lavender is an attractive plant that explodes into an abundance of beautiful purple colored blooms. It emits a strong, pleasing aroma when crushed. When it’s dried, it retains both its color and scent which makes it a favorite for dried floral arrangements. In products, it is abundance today with festivals held to introduce individuals to its numerous uses in the home and for health purposes. Some restaurants use it to garnish the look and taste of popular dishes such as lemon and lavender chicken. Lavender flowers are known as spike-like flowers which consist of multiple forms of small purple flowers on the narrow stem. The tiny embedded flower-like structures are called florets. The elegant flower has pioneered centuries with its physical beauty along with its soothing fragrance with different healing properties. The flower is known for its multiple uses ranging from medicinal to culinary applications. It proudly carries unique meaning for its distinct beauty. The versatility of the flower is lauded all over the world. The history of lavenders can be traced back to the history of man. The word lavender is notably derived from the French word, Lavandre. The Latin of which means ‘to wash.' The scientific name Lavandula is derived from European vernacular names. The name could also be related to the Latin word Livere, which signifies its blueish appearance. The flower was widely used for its medicinal purposes for over 2,500 years. It was even used as perfumes by many civilizations, most notably by the Egyptians, people from Arabia, and even Phoenicians. The presence of lavender is also noted in the Bible in the name of spikenard. A bunch of lavender flowers can be used to repel insects. The flower seeds are often used to help in sleep and relaxation techniques. The flowerheads can be used in many treatment methods, so the flower stands to be of many applications along with its endearing beauty. You can quickly get your hands on a bunch of wholesale lavender through trusted online florists like Whole Blossoms. The elements of the flower are extensively used in the perfume industry in the modern day. There are over 180 different constituents used to make commercial products. Even the Romans used the flower for lavender oils, which was utilized in making scents and cooking. The soothing quality of the flower is known for its tonic features. The strong scent is the favorite scent of many, and it bags a place to be one of the most beautifully scented flowers in the world. The beautiful hues of the flower range from Purple / Pink / Yellow lavender color. Lavender flowers can be used for a wide range of unique Flower arrangements. The soothing purple color lavender implies the color of royalty which can bring in much attention. The pink lavenders are known as the color of the youth and growth. The feminine side of lavenders truly charms every onlooker. The representation of the grace, refinement, and the elegance of the flower speaks volume of nature's creation. The sacred place of lavender within nature is to be appreciated to its core. The violet lavenders are known for their delicate and precious nature. Any floral arrangements with Lavender can stand to shine and spread the feminine beauty. They can mostly be used on any special occasion to take in their beauty. These flowers can be easily paired up with other flowers to shine through. Fresh lavender wedding bouquet can be the main attraction of the wedding with its distinguished and refined looks. The setting of weddings can be amplified with the presence of these exquisite flowers to share their elegance and feminine side. Bridesmaids can also use lavenders to sync with the whole theme of the wedding. Any color of the flower, be it Purple / Pink / Yellow lavender color has the strength to amaze anyone. The spring-like dewy freshness of the flower stands as a shrine to the youthful nature of time. The lovely flower can be used for floral arrangements in nurseries as it gives a soothing effect. The sophisticated flower with its versatile colors can fit perfectly under any setting in and around the house. True lavender flowers go with a combination of violet with white colors. The wide spectrum of colors has the power to surprise anyone with its immense beauty. Lavender’s medium tones are best known to evoke the feeling of grace, calmness, purity, devotion, and even silence. Where to buy lavender flowers for sale with the best pricing? Get your hands on the best quality of wholesale lavender through trusted online florists like Whole Blossoms. Enjoy the enchanting nature of the floral arrangements of lavender flowers. Getting flowers from reliable online florists can be the best choice to get fresh flowers delivered right to your doorstep. Come up with creative ideas to make a fresh lavender wedding bouquet. To find flower arrangements in bulk, surf through Whole Blossoms right away. You can easily get lavenders assembled within a single click. Share the divine beauty of the alluring flower with wedding bouquets, the medium tones of the flowers bring out the perfect feminine side to showcase. The scent of lavenders is truly magnificent. Map out creative ideas to make distinct arrangements of the flowers to set up around a wedding theme, nurseries, or even just around the house to decorate. The graceful presence of lavenders can bring in a soothing effect to your house. 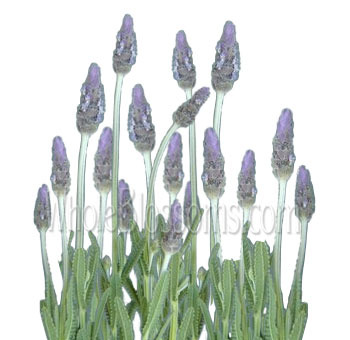 Get the best quality of lavenders from florists online. The elegance of lavenders is limitless, and you can readily make a great purchase through trusted florists giving you the best prices. The beauty of lavenders can be shared with loved ones to cherish the moment. Choose from a wide range of colors of lavenders to share the charming nature of the flower.